Based on the responses of 2369 Chinese adolescents in Hong Kong (mean age = 14.2; 48.5% girls), the interaction effects of parental behavioral control and psychological control on adolescent wellbeing (indexed by life satisfaction and hopelessness) were examined. Results indicated that the interaction of paternal behavioral control and paternal psychological control was associated with adolescent life satisfaction. Paternal behavioral control had a stronger impact on adolescent life satisfaction when paternal psychological control was at a higher level than at a lower level. While the relationship between maternal behavioral control and life satisfaction was stronger for boys than for girls, maternal psychological control was negatively related to life satisfaction for girls but not for boys. Regarding adolescent hopelessness, both paternal and maternal psychological control moderated the relationship between paternal behavioral control and adolescent hopelessness. The relationships between paternal behavioral control and adolescent hopelessness were negative when either paternal or maternal psychological control was at lower levels, but the relationships became non-significant when parental psychological control was at higher levels. 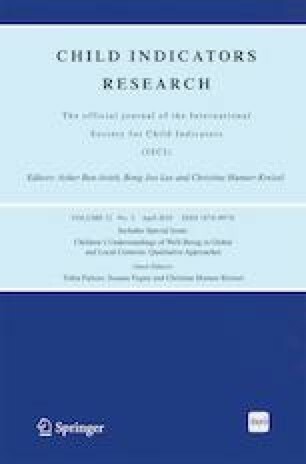 The study implies that there are interaction effects of parental behavioral control and psychological control on well-being among Chinese adolescents, which provides important insights on the development of the family socialization model. This research was financially supported by the Early Career Scheme, Research Grants Council (Project Code: PolyU 216008/15H).